Where? 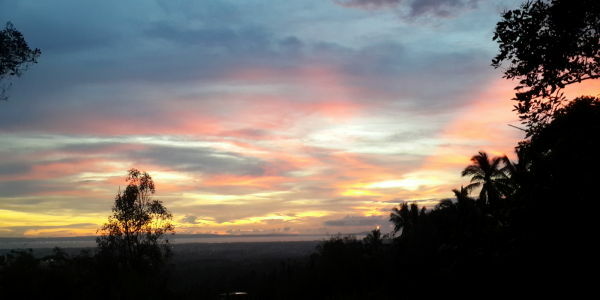 Jembrana, Indonesia. When? December 2014. What? Food for families living in the mountains. Over 28 million Indonesians currently live below the poverty line. 200,000 of them reside in Bali. Despite the billions in tourism revenue coming into the island, areas that are not frequented by tourists are often left behind economically. One such place is Negara, Jembrana. This Christmas Eve, FSP teamed up with local café owner Christian to spread the Christmas cheer to rural villages in Jembrana. Despite a discouraging start—the weather was hot and muggy; the car got stuck in the woods; rain was pouring—the mission was successful. FSP delivered over 200kg rice along with noodles, oil, and salt to families living in the mountains. 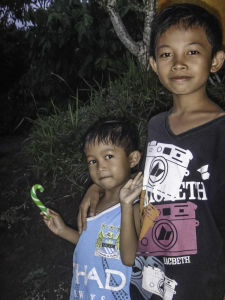 Children were ecstatic to receive a special Christmas treat—candy canes! On the ride back home, a beautiful sunset was our reward for a job well done.